Artificial Intelligence and Complexity: What can AI do for physics and what can physics do for AI? AI isn’t magic, but to many physicists working in complexity science it might as well be! This all-day meeting is an opportunity for non-specialists to experience an introduction to the central concepts and open research questions in this fast-progressing field. 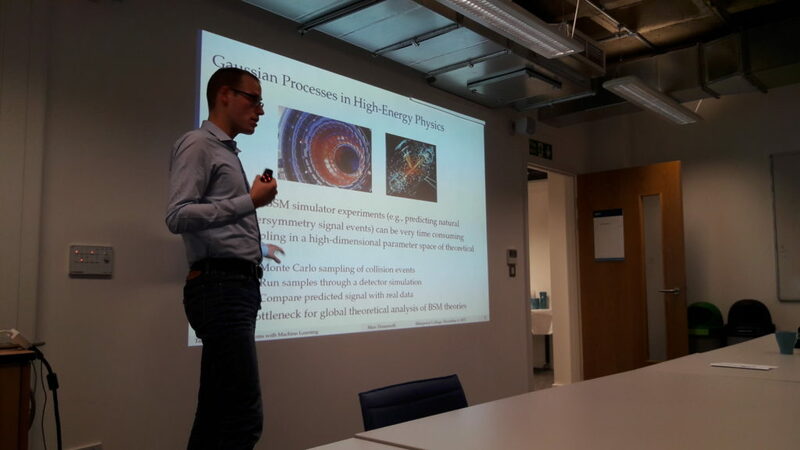 The aim of the event was to explore links between approaches in the field of complexity science and those in AI, and to consider how AI could play a role in solving the hardest problems in physics. Elucidating the underlying principles of AI, giving concrete examples which bring them to life. Cutting edge problems in AI from a physicist’s perspective. Applications of AI to problems in physics: opportunities, challenges and limitations. 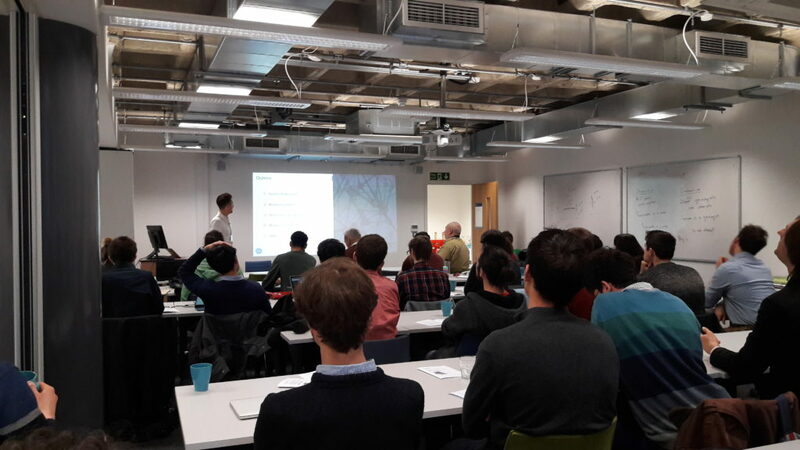 On the Wednesday the 6th of December 2017 the Institute of Physics’ Nonlinear and Complex Physics Group held its annual winter meeting in the EPSRC CDT space. The theme for the day long meeting was “Artificial Intelligence and Complexity.” The event attracted over 40 people from a range of backgrounds in physics, applied mathematics and computer science. The morning centred around two 50 minute talks given by Ilya Fiege, head of research at ASI data science. He covered the mathematical background behind neural networks: starting from linear regression and moving to the more general approach of training neural networks. In addition, as a seasoned data scientist, he was able to articulate the theoretical issues in the subject that may plague mathematicians but do not actually make an important difference in practice. The second keynote speaker of the day was March Deisenroth, a lecturer in statistical machine learning at Imperial College. He gave an introduction to the theory of Gaussian processes. He reported on the application of these techniques to study data from high energy physics experiments at the LHC. Secondly, he reported on using similar techniques for data efficient learning in robotics. This included video demonstrations of robots learning to walk and balance. The final keynote talk of the day was given by Professor Tobias Preis of the University of Warwick. His talk focused on methodologies for measuring and predicting human behavior using online data. This included using google searches to predict the behavior of the stock market, using geotagged photos from the photo sharing website Flickr to identify global travel flows and a study of how the visual beauty of different landscapes in the UK can influences people’s health. 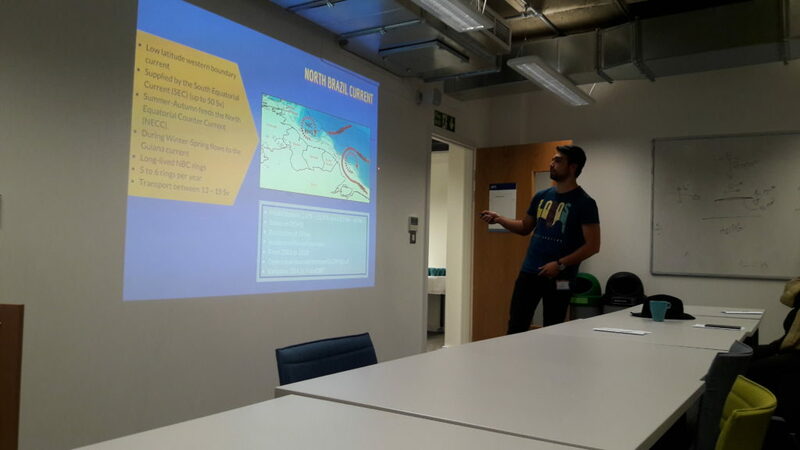 Contributed talks from PhD students and Postdoctoral researchers covered a range of topics including the use of neural networks for data assimilation in ocean and weather models, machine learning techniques applied to remove noise in optical fiber transmissions and the thermodynamics of statistical inference.